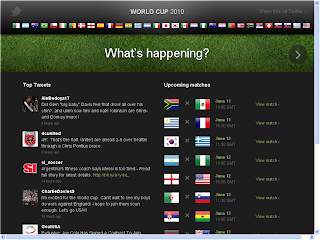 This is a very smart move - it creates a focus page for all of the World Cup tweets, rather that people having to create their own aggregators or lists. It's also, I think, the first time twitter have done something like this themselves, rather than just leave others to build it with their API. 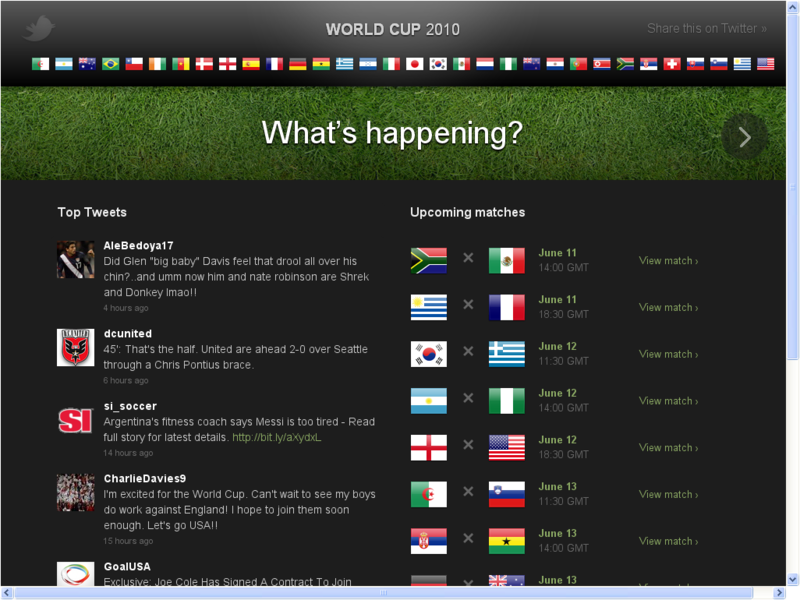 Features include a 'top tweets' column, with the most re-tweeted World Cup posts, and specific pages for each of the matches. 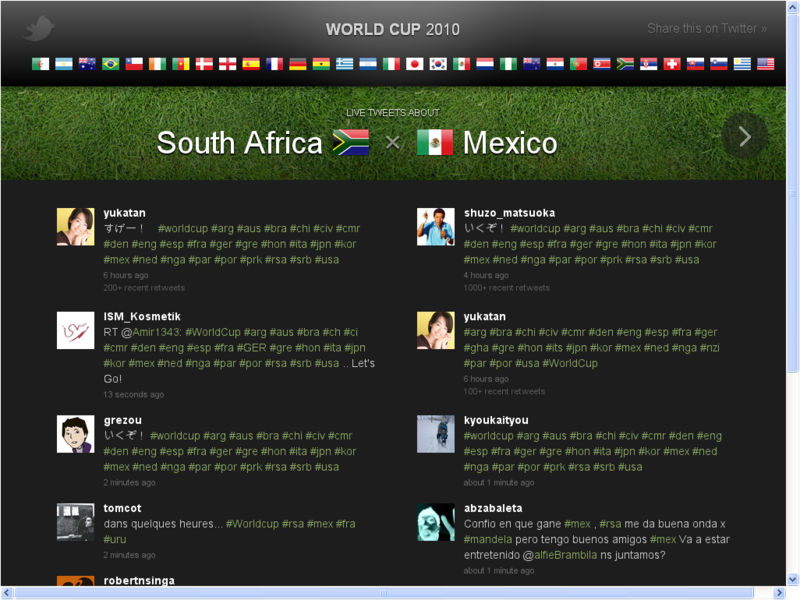 This is the page for South Africa Vs. Mexico, for example. They've also created a page for each of the countries taking part - this is England. 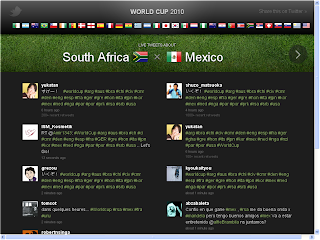 They've also created 'official' hashtags for each of the teams, e.g. #eng, #arg, and so on.